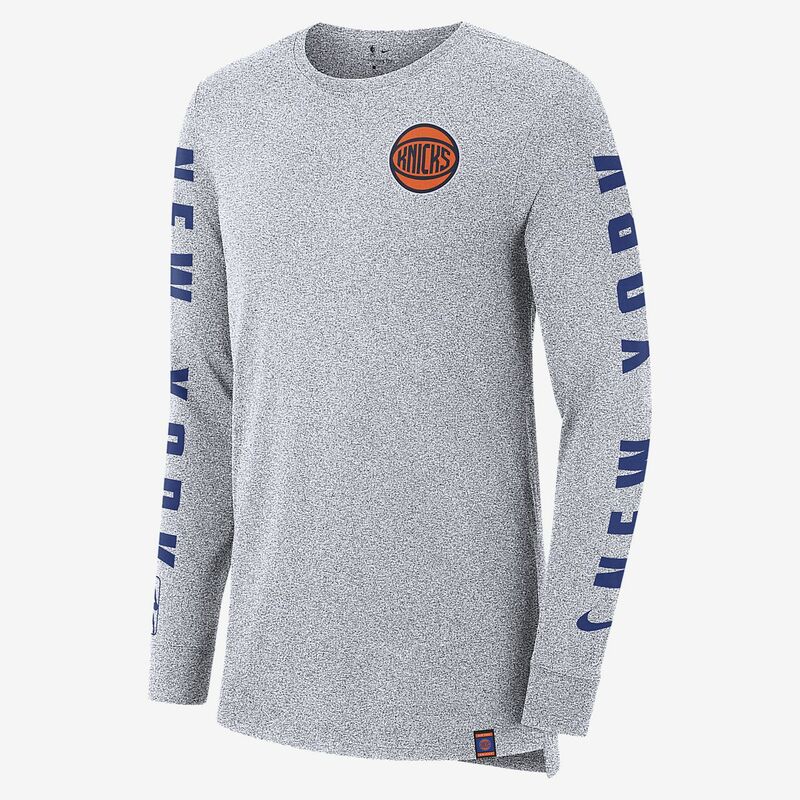 Show pride for your town and team in the New York Knicks City Edition Nike NBA T-Shirt. Made from soft, marled fabric, this top has a look inspired by the team's City Edition kit. Show pride for your town and team in the New York Knicks City Edition Nike NBA T-Shirt. Made from soft, marled fabric, this top has a look inspired by the team&apos;s City Edition kit. City Edition graphics match the kit. Marled jersey fabric has a soft, comfortable feel. Have your say. Be the first to review the New York Knicks City Edition Nike.